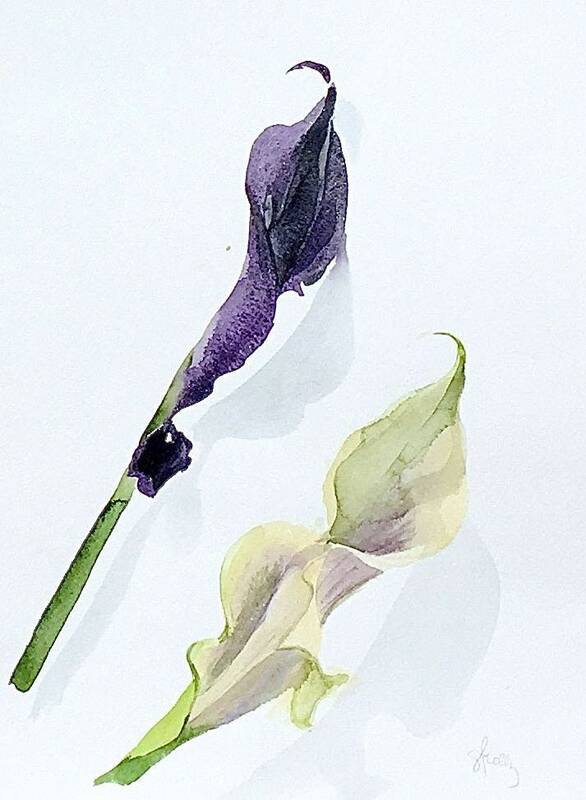 Calla Lily study of deep purple and pale green white. This flower painting stands on it's own framed or is beautiful in the mix of a picture frame gallery wall for your boudoir or powder room. It is the ultimate feminine Art for your wall.